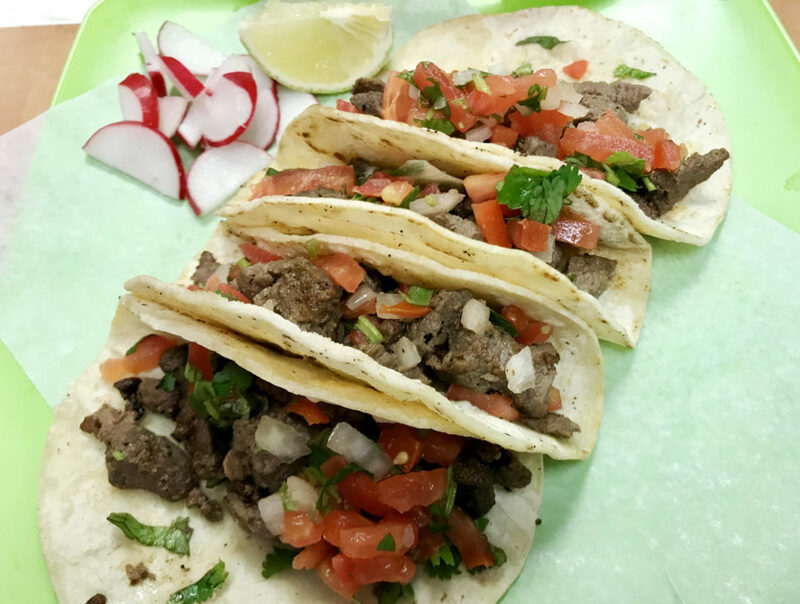 If you’re heading to this 107th Avenue spot, chances are you’re going to look over the extensive taco selection. The eatery itself is anything but fancy; you order at the counter and then head to one of the tables, and you pass the time by watching Mexican musical specials on the TVs. But when the food arrives, the tacos are, well, delicious. Try the asada, with grilled bits of sirloin steak. But the big crowd-pleaser at our table was the barbacoa, with shredded beef that’s been slowly stewed in chilies and spices. The juices from the meat run freely, so load up on the napkins. The orders come in threes; but, on Taco Tuesday, there are four tacos for the price of three.